New Sloan-funded program in microbiology of the built environment: Amy Pruden, Plumbing Microbiome – microBEnet: the microbiology of the Built Environment network. The Sloan foundation has recently announced funding for several new projects in the microbiology of the built environment, we’ll be describing each of them in more detail here. First is a project called “Effect of Pipe Materials, Water Flow, and Chemistry on the Building Plumbing Microbiome”. This work will be performed by Amy Pruden, Marc Edwards, and Annie Pearce at Virginia Tech, and Anisha Patel at the University of California San Francisco. This project will examine the effect of pipe material, water flow, and chemistry on the building plumbing microbiome and implications for green buildings and schools. 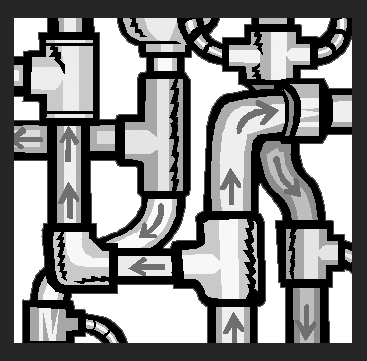 Building plumbing systems deliver potable water to the tap, shower, and other fixtures and are a critical aspect of the built environment because they represent the front-line of human exposure to waterborne microbes, which can occur via aerosol inhalation, aspiration, skin contact, or ingestion. The work will examine unique building plumbing field observatories installed at five potable water utilities across the eastern region of the U.S. and will enable broad comparison of water chemistry and pipe materials under controlled, replicated conditions. Parallel laboratory systems will examine the effects of a range of water usage (frequency and flow velocity) and temperature scenarios. The relationships between these factors and the resident microbiota will be determined using next generation sequencing targeting bacterial, archaeal, and protozoan communities. Metagenomic analysis will be carried out on select samples. The study design supports an unprecedented level of statistical power at both lab and field-scale, with particular relevance to schools and green buildings, which have “worst-case” flow regimes and “at-risk” populations. The key overarching questions to this research are, which microbes are we selecting for in our choices of building plumbing materials, temperatures, and flow configurations, and are we selecting for the “right” microbes?